Magnification: 16-diopter 5X; Focal Length: 2.5 in. ; Lens: 3 in. Dazor Stretchview Mobile Floor Stand Magnifier 16D 42 in. 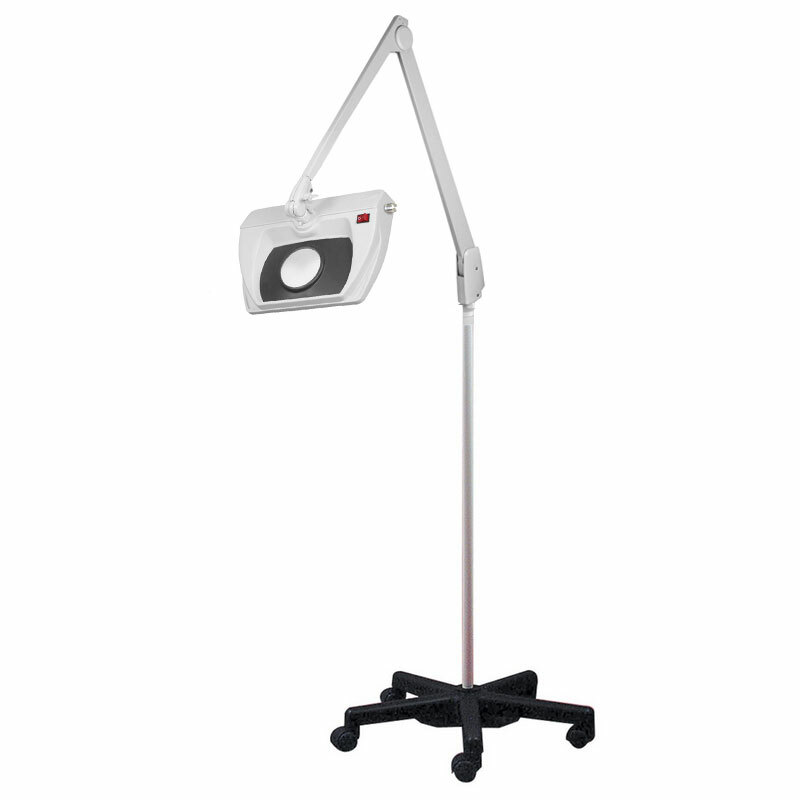 - White is a multipurpose magnifier featuring a sturdy 5-caster rolling floor stand and powerful 18W CFL Cool White (4100K) lamp.